Achieve Eye & Laser Specialists is a group of highly trained eye physicians and surgeons (Eye M.D.s) providing state of the art medical and surgical care. All of our doctors are board-certified and fellowship-trained in their specialties. We are the only specialists in cornea, glaucoma, and uveitis in Kitsap County. We offer cutting-edge technologies and specialty intraocular lenses for our cataract patients. 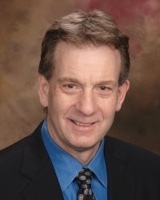 Dr. Paul Kremer is a board certified, fellowship trained corneal surgeon. He is one of the most experienced LASIK surgeons on the West Coast, and he and Dr. Zwickey are the only two cornea specialists west of the Sound. 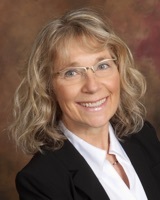 Dr. Martha Leen is a board certified, fellowship trained ophthalmologist specializing in Glaucoma Consultation & Surgery. She offers the latest medical, surgical, and laser therapies for glaucoma, from minimally invasive to complex. 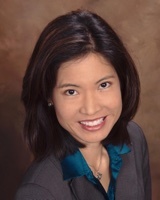 Dr. Deanne Nakamoto is a board certified, fellowship-trained glaucoma and uveitis specialist. She offers medical and surgical management of these diseases, and can tailor an individual plan for you. Dr. Todd Zwickey is a board certified, fellowship-trained cornea specialist and comprehensive ophthalmologist. He joined us in 2014 from his established practice in Minnesota. 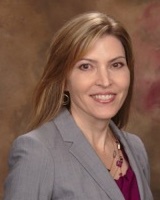 Dr. Dana Jungschaffer is a board certified, fellowship-trained ophthalmologist. Her areas of expertise include cataract surgery, upper eyelid surgery, glaucoma and diabetic care. State of the art refractions (a.k.a. “eye exams” or “glasses exams”) are done with our MARCO technology which can precisely determine your optimum glasses prescription. Glasses can correct myopia (near-sightedness), hyperopia (far-sightedness), astigmatism (when the front of the eye is not round). Glasses cannot correct blurriness due to eye diseases such as cataract, glaucoma, and macular degeneration — here is where your ophthalmologist can help. LASIK is the most advanced treatment for nearsightedness, farsightedness and astigmatism. This procedure begins with an Intralase laser creating a microscopically thin “flap” on the surface of the eye. The flap is lifted back and a computer-guided laser treats the eye to correct the blurred vision. The flap is then replaced and self-adheres. No stitches, no cutting, no blades, no eye patch or medicines other than eye drops are used. Considering LASIK? Click here. We offer complete diagnostic, medical and surgical care for glaucoma patients. Glaucoma treatments generally target mechanisms to lower the pressure in the eye and preserve vision. If untreated, abnormal eye pressure can damage the optic nerve leading to permanent loss of vision. More here. A cataract is a cloudiness that develops in the lens of the eye. As the cataract develops, vision becomes blurry and glare disabling. Surgery is the only known cure for cataracts, and is a quick and easy procedure. More here. Disorders involving the front surface of the eye can vary from dry eye to severe corneal scarring requiring transplantation surgery. 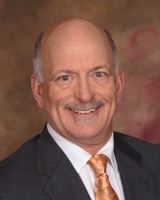 Dr. Kremer specializes in the medical and surgical treatments of corneal diseases. The latest treatments, including endothelial transplantation and amniotic membrane grafting are offered for patients with these conditions. More here. Uveitis is inflammation in the eye. Inflammation can occur for many reasons, but is most often due to an overactive immune system or an infection in the eye. Occasionally, uveitis is related to an underlying systemic disease, like rheumatoid arthritis. Long-standing inflammation in the eye can cause scarring, cataract, glaucoma, and macular edema (retinal nerve swelling), all of which are harmful to vision. Thankfully, permanent vision loss often can be avoided with proper and timely treatment. More here. LASIK is the most advanced treatment for nearsightedness, farsightedness and astigmatism. This procedure begins with an Intralase laser creating a microscopically thin “flap” on the surface of the eye. The flap is lifted back and a computer-guided laser treats the eye to correct the blurred vision. The flap is then replaced and self-adheres. No stitches, no cutting, no blades, no eye patch or medicines other than eye drops are used. Scheduled for LASIK? Click here. PRK is similar to LASIK, without the cornea flap. A computer-guided laser treats the eye to correct the blurred vision from myopia, hyperopia, or astigmatism. No stitches, no cutting, no blades, no eye patch or medicines other than eye drops are used. Scheduled for PRK? Click here. SLT is a gentle laser treatment that targets the natural drainage system in the eye, allowing it to drain more and thus lower pressure. Laser can often be used to replace one or more glaucoma drops. Considering SLT? Click here. This is a treatment for “narrow angles”– a laser is used to create a tiny hole in your iris to open up the drainage system in the eye. Considering PI? Click here. A laser is used to open a clear window in a cloudy capsular pouch that houses your artificial lens after cataract surgery. It is completely painless. Considering YAG capsulotomy? Click here. Ultrasound energy is used through microincisions to quickly remove a cloudy lens. It is replaced with a intraocular lens chosen specifically for your eye and lifestyle. Often this is done without needles or sutures, in 15 minutes or less. Scheduled for surgery? Click here. This is a first-line treatment for moderate to severe glaucoma refractory to medical care. A tiny stainless steel shunt is placed within the eye wall create a new drainage system in the eye. Scheduled for surgery? Click here. Glaucoma tubes (Ahmeds or Baerveldts) divert extra aqueous fluid from the eye to a resevoir within your eye socket. Scheduled for surgery? Click here. Glaukos iStent is a minimally invasive glaucoma surgery (“MIGS”) that optimizes your eye’s natural drainage system. This offered as an add-on to cataract surgery. Scheduled for surgery? Click here. The Kahook Dualblade goniotomy is a minimally invasive glaucoma surgery (“MIGS”) that optimizes your eye’s natural drainage system. This is usually offered as an add-on to cataract surgery. Scheduled for surgery? Click here. **Note that this is for scheduling only and NOT for medical questions or medication refills. HIPAA prevents us from handling medical questions through our website. Urgent concerns should always be phoned in. For non-urgent concerns, call or use our Patient Portal. First time portal users will need to retrieve an activation code at your next visit.